Sometimes the biggest gems and beauties of the world are just in front of us, but we don´t see them, because we are so occupied by buying plane tickets and traveling to the other side of the world. 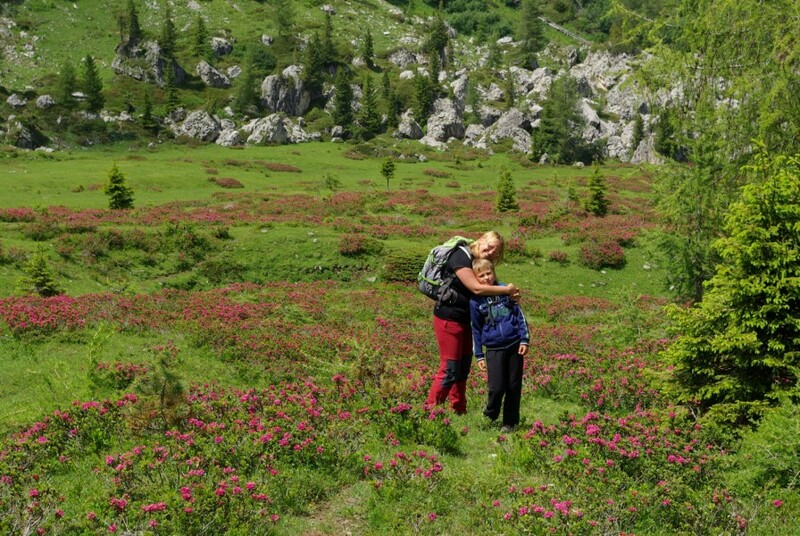 Beside our beautiful Slovenia there is small part of the world that is among the most beautiful ones on Earth. The Dolomites, Italy. 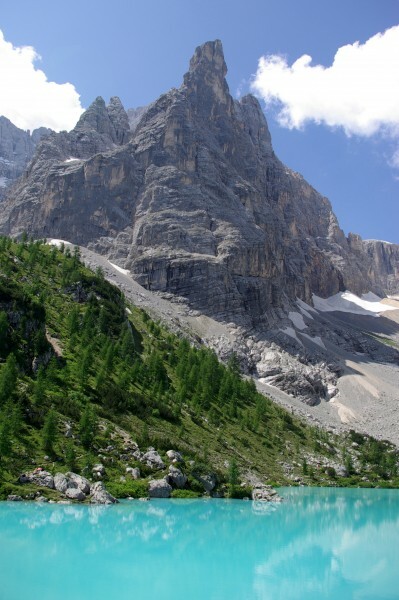 The Dolomites lies in northern Italy and covers the area of Alto Adige (Sud Tirol), Trentino and Belluno. 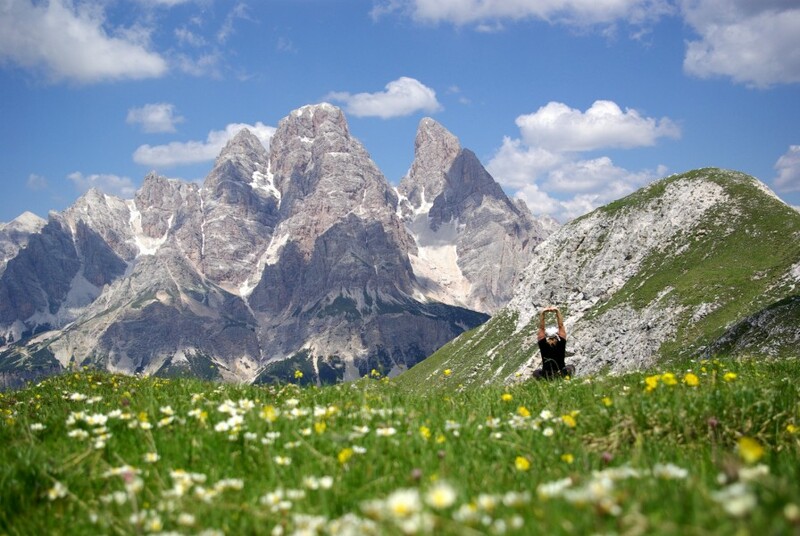 The views to everything the Dolomites offers are so fantastic that you just can´t get enough. 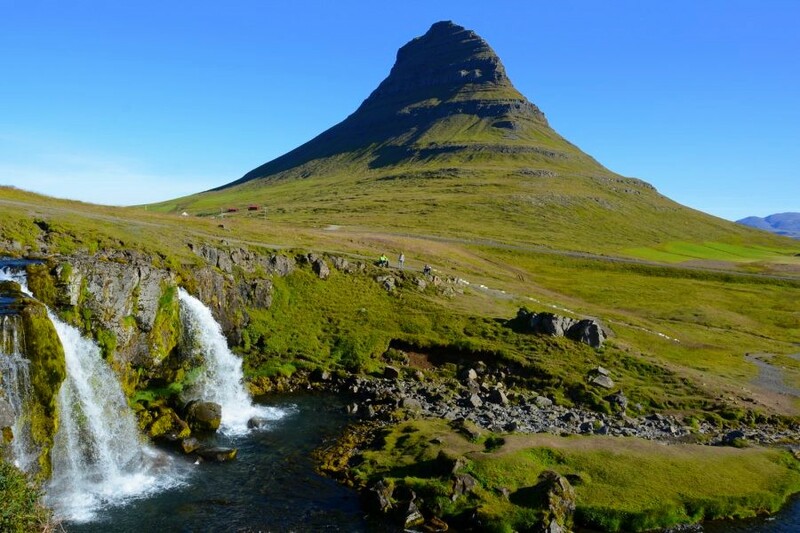 Nature and mountains are amazing and they are listed on Unesco world´s heritage list. Ski lovers go to the Dolomites at winter, mountain lovers at summer. If you are going to the Dolomites for the first time in summer or in early autumn, you are probably asking yourself where to go? 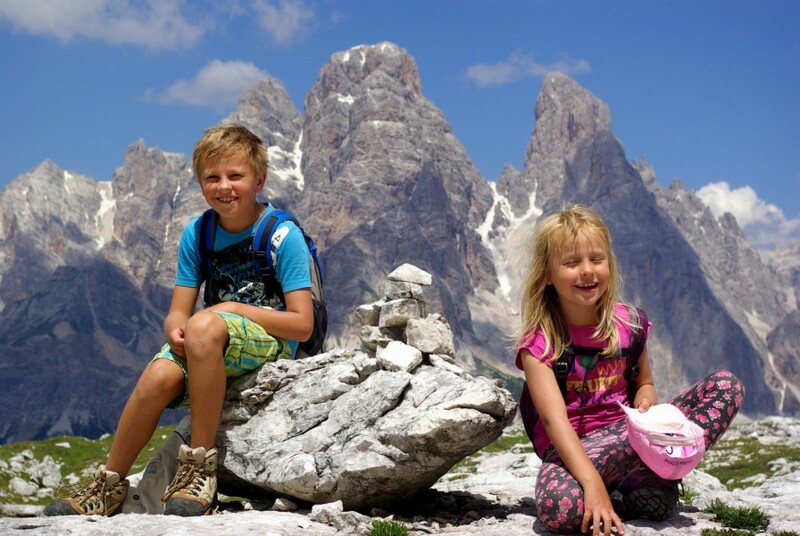 Because it is impossible to see everything in the Dolomites at once (don´t even try), I recommend area around Cortina d´Ampezzo for the first time. The drive from Ljubljana to Cortina lasts approximately 3 hours and a half. It is not hard to find an accommodation that is expensive. 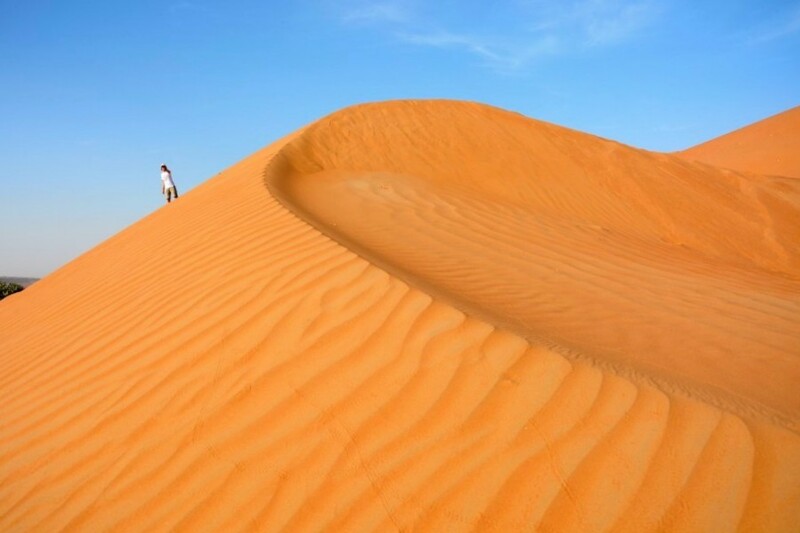 But if you are looking for something cheaper, than camping is the right decision. 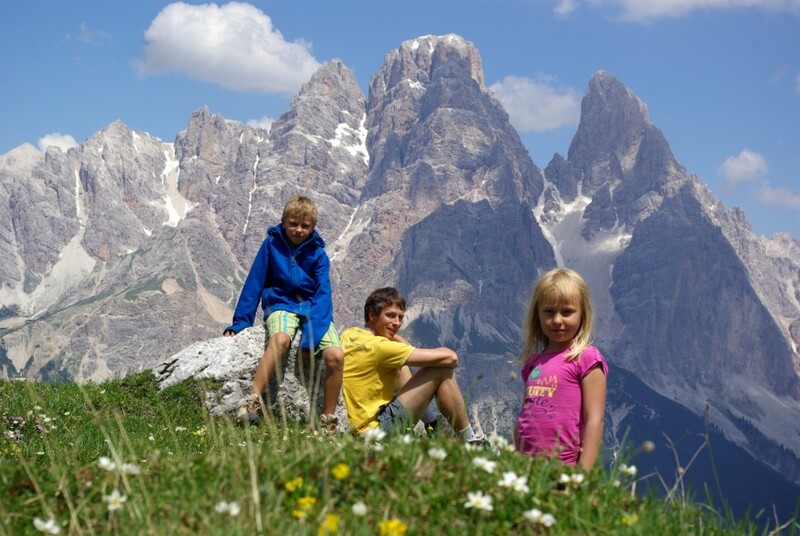 The best camp around Cortina is camp Rochetta. Because altitude of Cortina d´Ampezzo is 1200 meters, you shouldn´t forget warm clothes for the nights as the temperature could be only a few degrees above zero. Caps, sweaters, anoraks and quality shoes are must have when visiting the Dolomites, even in the summer. I also recommend accurate maps. You can buy one in Cortina, almost in every store (I recommend a map with scale 1:50.000). 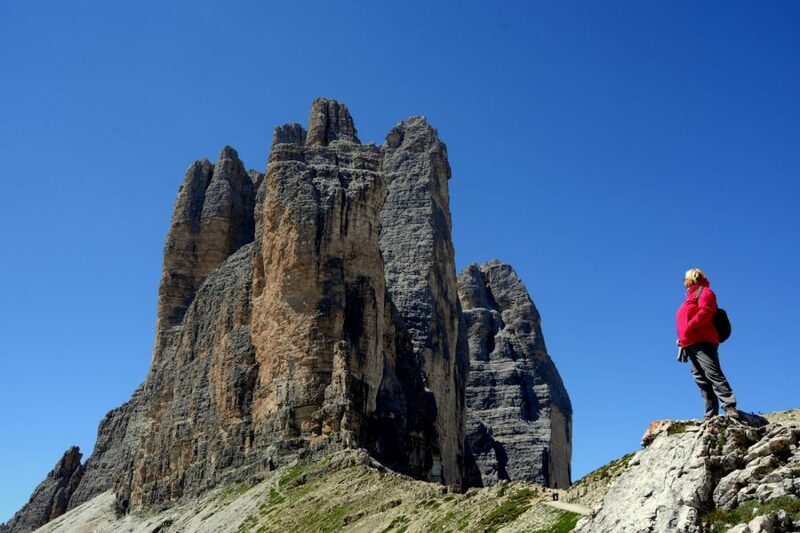 You should avoid going to the Dolomites in August as the crowd is really heavy in that month. 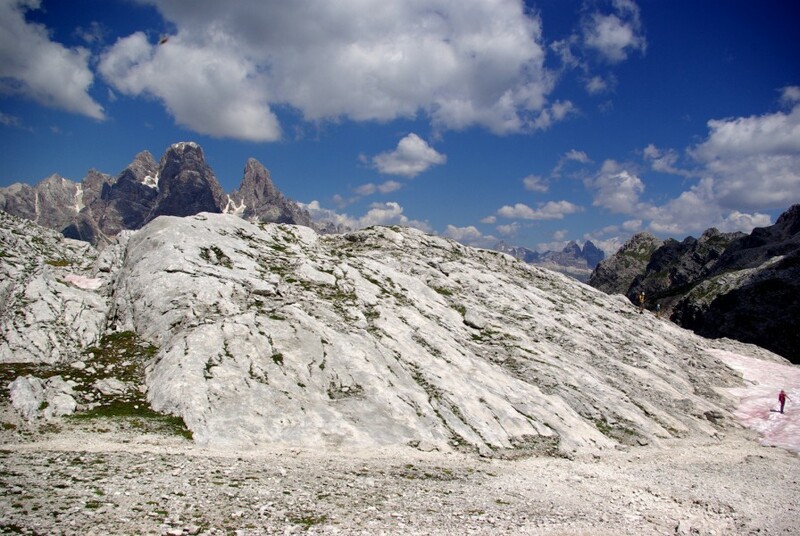 Tre Cime di Lavaredo is the heart of the Dolomites. 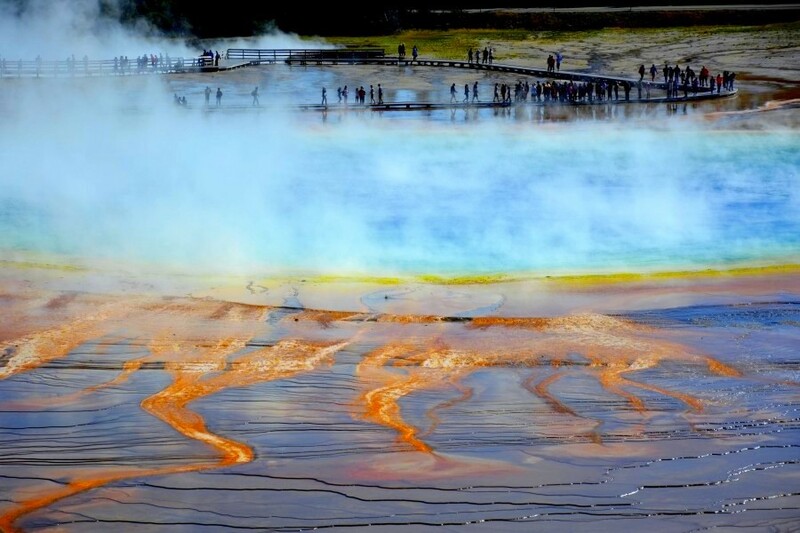 Landscape around them is wonderful and unearthly beautiful. 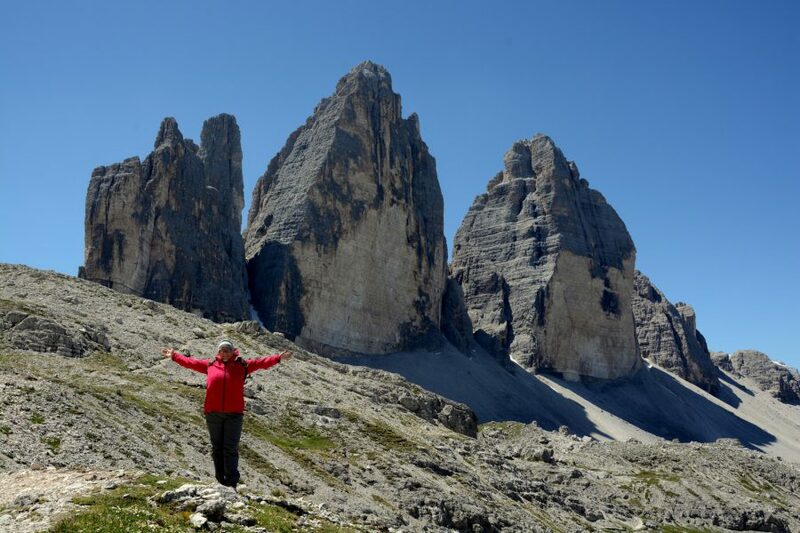 Access to Tre Cime is payable – 25 eur for the road and parking – but it is worth it. 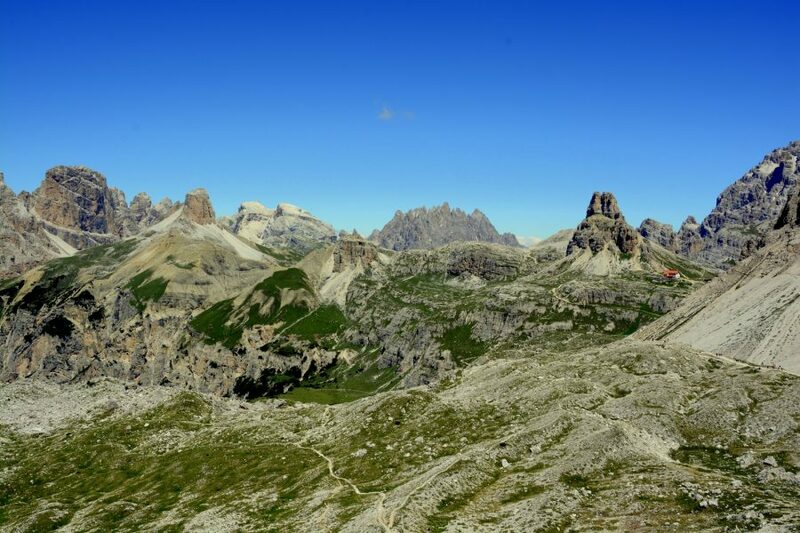 There is easy path from parking to Rifugio Locateli, from where you can see Tre Cime and path around it. Don´t forget you camera, as WOW effect will be there the whole time. 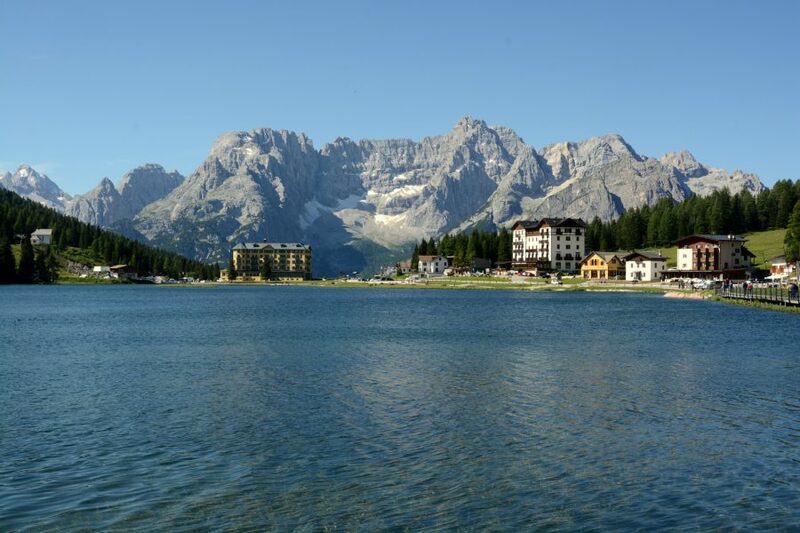 Starting point to Tre Cime is Lago Misurina, beautiful lake in the shelter of the mountains. Chinque Torri (meaning Five Fingers) is paradise for climbers, hikers and mountaineers. It is easy accessible and located near Passo Falzarego, opposite of wonderful scenery of Tofana. From that point we can admire Tofana in all its beauty and greatness. 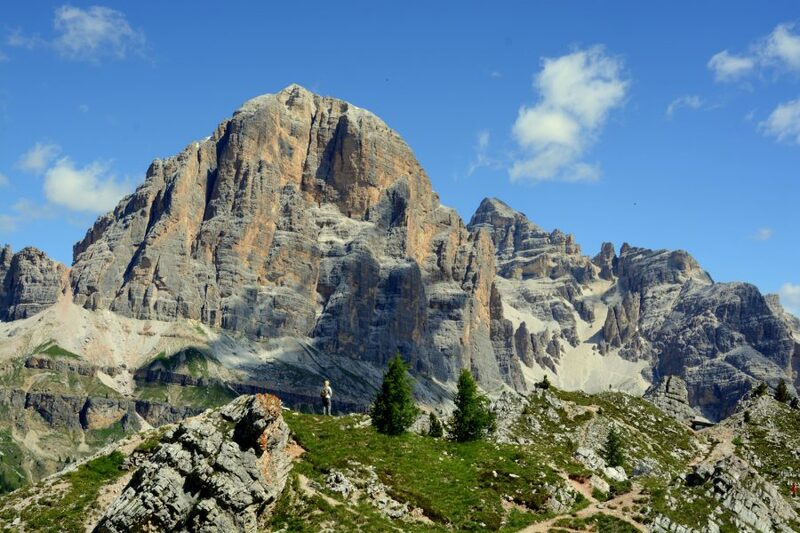 You can go to Chinque Torri by chairlift, which you cannot miss if you are driving from Cortina to Passo Falzarego. 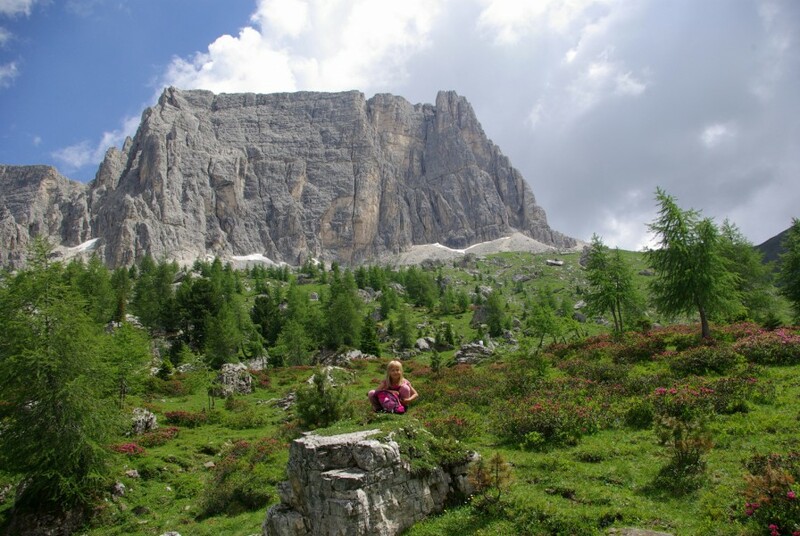 But you can also go by car to Rifugio Chinque Torri and further you can walk. The most beautiful is at the top of the pass, at Rifugio Averau and there you can enjoy in great view towards Tofana and “Five fingers”. 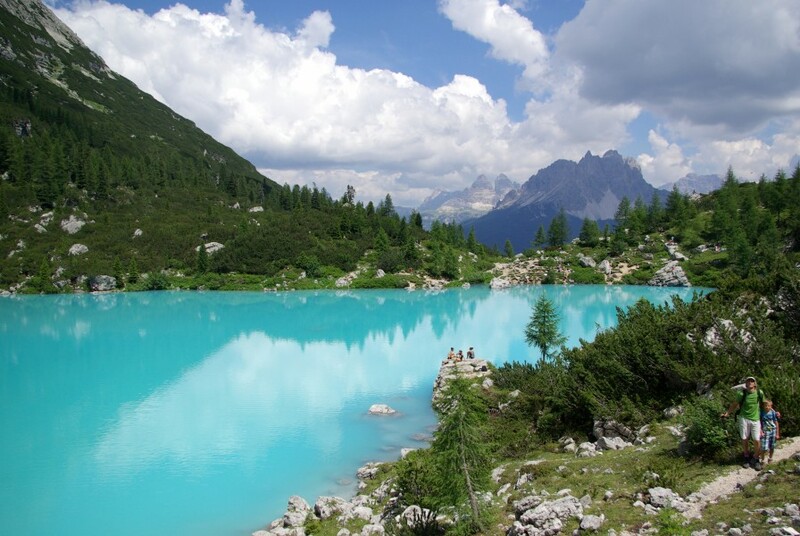 Lago Sorapiss is beautiful lake of turquoise color. Access to the lake is not hard, but you have to put some effort, anyway. 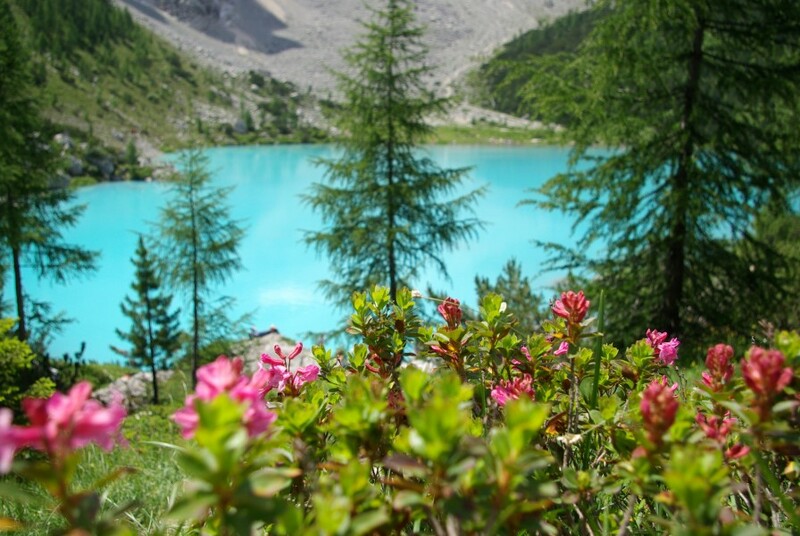 The path to the lake is 7 km long with 150 meters of altitude difference that starts at Passo Tre Croci. A short part of the path is by steep terrain, but the path is flat so it is not a big deal for those that are used walking. Never the less, you should be careful. 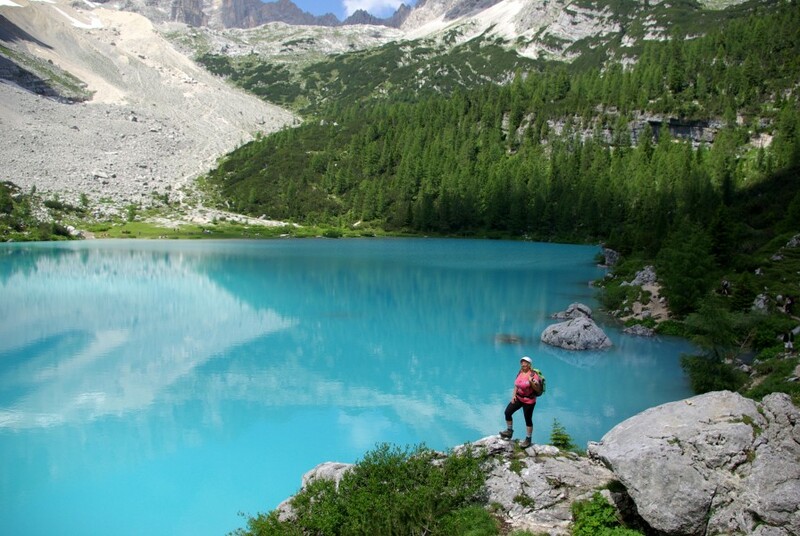 Lake Sorapiss is hidden among mountains and is one of the most beautiful parts of the Dolomites with its wonderful color and under peak Monte Dito or Dito di dio (God´s finger). 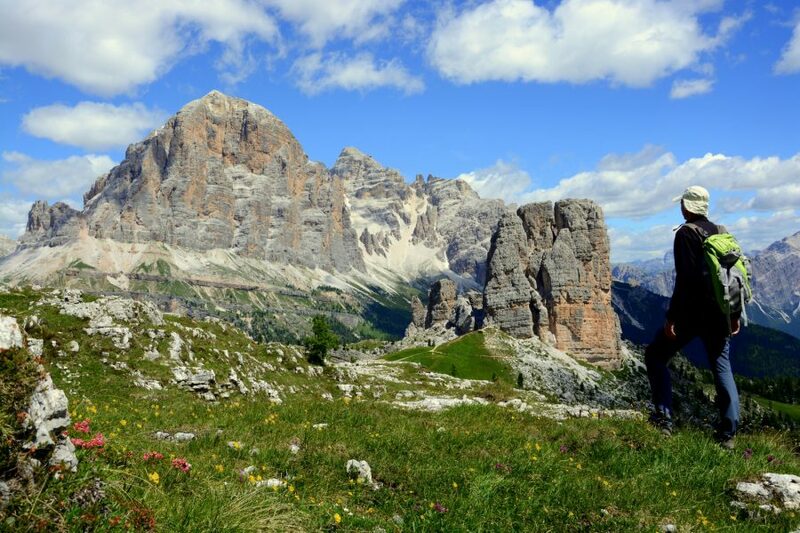 You can go with a gondola from the center of Cortina d´Ampezzo to Rifugio Faloria, and then by foot towards Tondi di Faloria under slope of Sorapiss. You can take the easy and beautiful round path with views on famous Monte Cristallo. 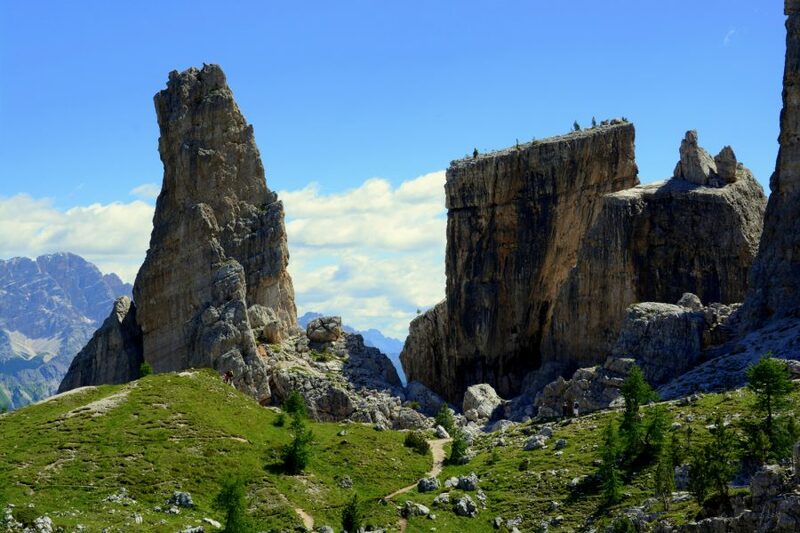 Beside Tofana, Monte Cristalo is the most famous scenery of Cortina d´Ampezzo, with many challenging climbing paths, among them very well known ferrata Ivano Dibona. 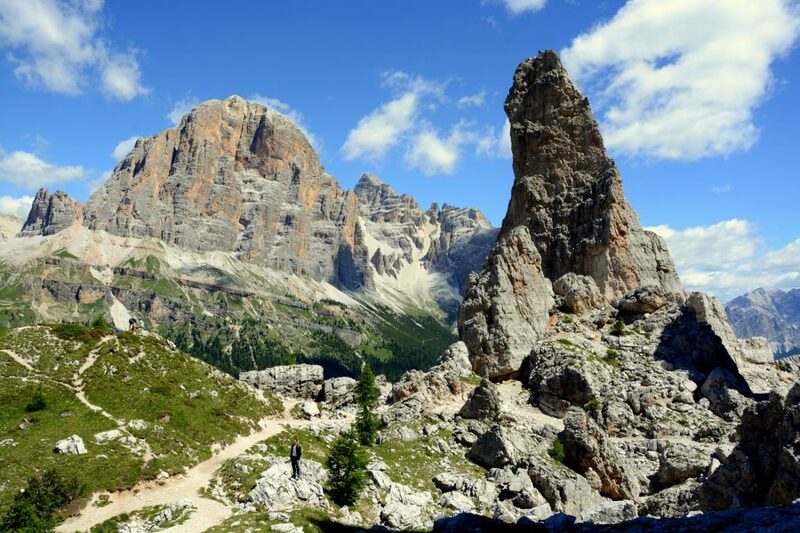 There are loads of more or less difficult paths and passes around Cortina that will take your breath away with their views. One of them is Passo Giau. From Passo Giau you can go on a round path to famous Chinque Torri, but you have to have at least half a day and beautiful weather. But you can go in the opposite direction – towards Forcelle Giau and enjoy in the views. Even if you don´t have a certain plan, you can walk on meadows and slopes around pass and it can be great experience too. 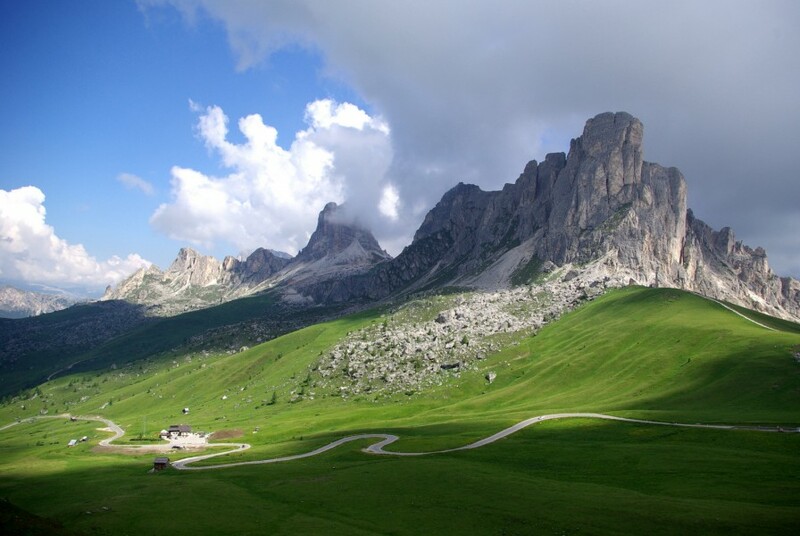 For all mountains lovers the Dolomites are true paradise. It is not so important wheather we are climbers or hikers or anything in between – genuine beauty of the nature leaves its stamp. 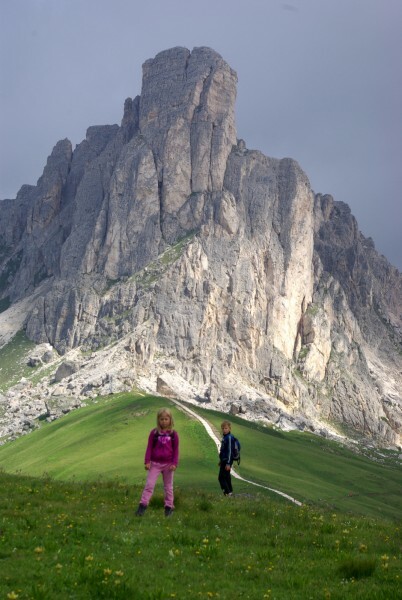 I don´t know anyone who wouldn´t want to go back after their first visit of the Dolomites. You should see for yourself.